The flu season runs from November to April, with most cases occurring between late December and early March. About 10% to 20% of people get the flu every winter . In children, the odds are even worse, with up to 40% of children becoming clinically ill due to the influenza virus. The best way to prevent seasonal flu is to get a flu vaccination. Hospitalization and death from flu complications pose real risks. Every year, on average, more than 200,000 people are hospitalized from flu complications and approximately 36,000 people die from the flu . Additionally, immunizing children against influenza is perhaps the best method to reduce the occurrence of the flu in the community. If children receive the flu shot but the rest of the family abstains, the influenza attack rate drops by 40%; if parents also get the flu shot, the influenza attack rate drops by 80% . Influenza is a respiratory infection caused by a number of RNA viruses. 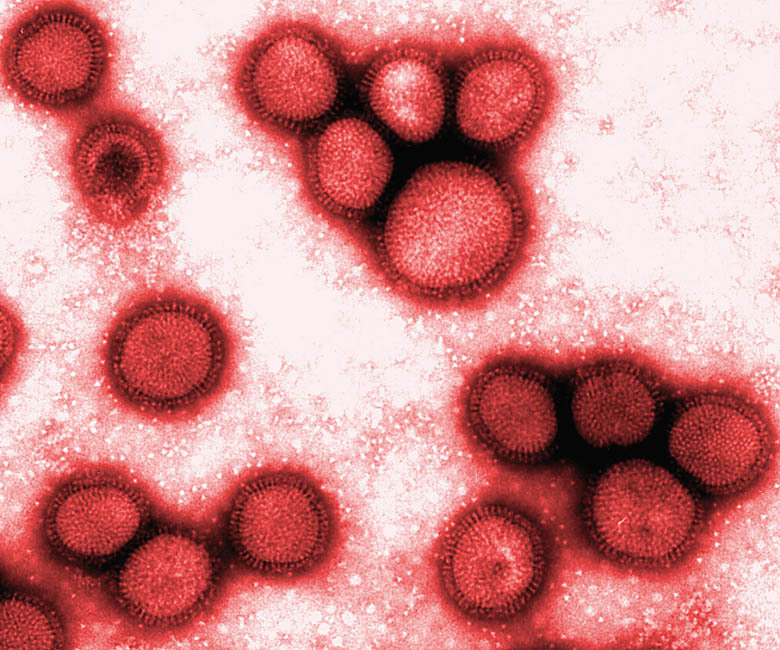 An airborne virus, the flu enters your body through your nose or mouth. Influenza viruses bind to sialic acid sugars (essentially a carbohydrate widely distributed in animal tissues and bacteria) found on the surface of epithelial cells in the nose, throat and lungs via a protein called hemagglutinin. The cell then absorbs the virus in a process called endocytosis. Once inside the cell, the virus replicates. An enzyme called a RNA-dependent RNA polymerase is responsible for replicating the viral RNA. The polymerase enzyme lacks proofreading capability and makes a spontaneous mutation at a rate of 1 per genome per replication . Thus, essentially every influenza virus replicated is a mutant. This is the reason why influenza viruses continually change over time and are able to evade the host immune system. As an interesting side note, increased sialic acid levels have been observed during inflammatory processes and in cancer (correlating with the degree of metastasis), alcohol abuse, diabetes and chronic renal failure . Stomach symptoms (more common in children), including nausea, vomiting and diarrhea. The incubation period between acquiring the infection and becoming ill is 1 — 4 days. Most heathy adults are able to infect other people 1 day before symptoms develop and up to 5 days after becoming sick . Viral shedding, the period during which a person can infect others, usually peaks on the second day of symptoms. Children can infect others for several days prior to developing symptoms and can be infectious for more than 10 days. Since children can shed the greatest amounts of virus, they pose the greatest risk for viral transmission. Additionally, people who live or care for those at high risk for complications from flu (listed above) should also get vaccinated. For families with young children, this means everyone in the household needs to be vaccinated. Indeed, recent studies suggest that pediatric influenza is a greater medical problem that was previously thought, since it can cause excess hospitalizations, medical visits and antibiotic prescriptions [6-8]. People who have a severe allergy to chicken eggs or who have had a severe reaction to an influenza vaccination previously should not be vaccinated without first consulting with their physician. Those individuals that are sick with fever should refrain from vaccination until their symptoms lessen. The flu vaccine is available in two forms, a shot and a nasal spray (FluMist). The flu shot, which is approved for use in children 6 months and older, contains an inactivated flu virus. Although you may develop a slight reaction to the shot, including soreness at the injection site, muscle ache or fever, you won’t get the flu because the viruses in the vaccine have been inactivated (killed). 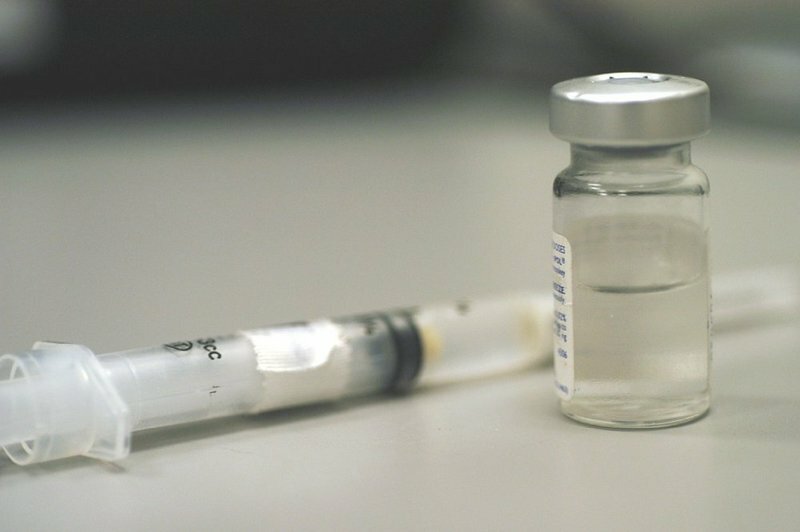 The nasal spray flu vaccine (FluMist), which was recently approved for use in children 2 years and older , contains a low dose of live but weakened flu virus. Similar to the flu shot, the nasal spray doesn’t cause the flu, but prompts an immune response so that your body develops antibodies necessary to fight influenza infection. A review of influenza vaccine efficacy was recently published, examining the results of 48 reports over the past four decades . The study found that the flu vaccine (specifically, inactivated parenteral vaccines, i.e. the flu shot) was 80% efficacious against influenza in healthy adults (in those confirmed by laboratory tests) when the vaccine matched the circulating strain and the circulation was high. If the circulating strain didn’t match the vaccine, efficacy was reduced to 50%. The flu vaccine was 30% effective against influenza-like illness. FluMist efficacy has been reported to be higher in both children and adults [11-13]. In addition to vaccination, one of the best ways to avoid getting sick is to simply wash your hands. Remember that even something as simple as coughing or sneezing can spread cold and flu germs. You can protect yourself and those around you from the flu. Annual vaccination is the most effective method to prevent infection, reduce symptom severity (if you do get sick) and prevent the spread of virus to others. Evans M. Flu shot. Can Fam Physician. 2005 Nov;51:1511-2, 1515-6. Key Facts About Seasonal Influenza (Flu). Centers for Disease Control and Prevention. Updated 2007, Sep 17. Hurwitz et al. Effectiveness of influenza vaccination of day care children in reducing influenza-related morbidity among household contacts. JAMA. 2000 Oct 4;284(13):1677-82. Drake JW. Rates of spontaneous mutation among RNA viruses. Proc Natl Acad Sci U S A. 1993 May 1;90(9):4171-5. Sillanaukee et al. Occurrence of sialic acids in healthy humans and different disorders. Eur J Clin Invest. 1999 May;29(5):413-25. Neuzil et al. Burden of interpandemic influenza in children younger than 5 years: a 25-year prospective study. J Infect Dis 2002;185:147-52. Izurieta et al. Influenza and the rates of hospitalization for respiratory disease among infants and young children. N Engl J Med. 2000 Jan 27;342(4):232-9. Neuzil et al. The effect of influenza on hospitalizations, outpatient visits, and courses of antibiotics in children. N Engl J Med 2000;342:225-31. FDA Approves Nasal Influenza Vaccine for Use in Younger Children. U.S. Food and Drug Administration. 2007 Sep 19. Jefferson et al. Vaccines for preventing influenza in healthy adults. Cochrane Database Syst Rev. 2007 Apr 18;(2):CD001269. Belshe et al. The efficacy of live attenuated, cold-adapted, trivalent, intranasal influenzavirus vaccine in children. N Engl J Med. 1998 May 14;338(20):1405-12. Belshe et al. Efficacy of vaccination with live attenuated, cold-adapted, trivalent, intranasal influenza virus vaccine against a variant (A/Sydney) not contained in the vaccine. J Pediatr. 2000 Feb;136(2):168-75. Treanor et al. Evaluation of trivalent, live, cold-adapted (CAIV-T) and inactivated (TIV) influenza vaccines in prevention of virus infection and illness following challenge of adults with wild-type influenza A (H1N1), A (H3N2), and B viruses. Vaccine. 1999 Dec 10;18(9-10):899-906.